New U.S. sanctions have plunged Russia’s currency to a two-year low. The Trump administration announced the sanctions on Wednesday over the poisoning of former Russian spy Sergei Skripal and his daughter in Britain earlier this year. Both the British and U.S. governments blamed Russia for the attack. The Kremlin has denied involvement, and has criticized the British government for failing to provide any evidence. U.S. officials have declined to answer whether they have seen any new evidence for themselves. The Kremlin calls the new U.S. sanctions draconian, and the latest move to drive up tensions between these two nuclear powers. 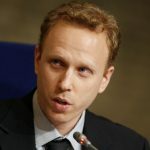 Joining me is Max Blumenthal, journalist, author, senior editor of the Grayzone Project. Welcome, Max. Were you surprised by this? I mean, just recently Trump has been talking about wanting better relations with Russia, after that summit in Helsinki. And this move seemed to come out of the blue. MAX BLUMENTHAL: Yeah. I was surprised. I think many people in Washington were surprised. People in Moscow were surprised. But I mean, if you look at the overall kind of narrative of Russiagate and how this national outrage has been instrumentalized to criminalize diplomacy and drive down relations between the U.S. and Russia, it’s not surprising in that regard. The most surprising component of it to me is tying the sanctions to the Skripal poisoning. In 1991. The U.S. basically enacted a measure that would require it to sanction any country that had deployed a chemical or biological weapon in another country. 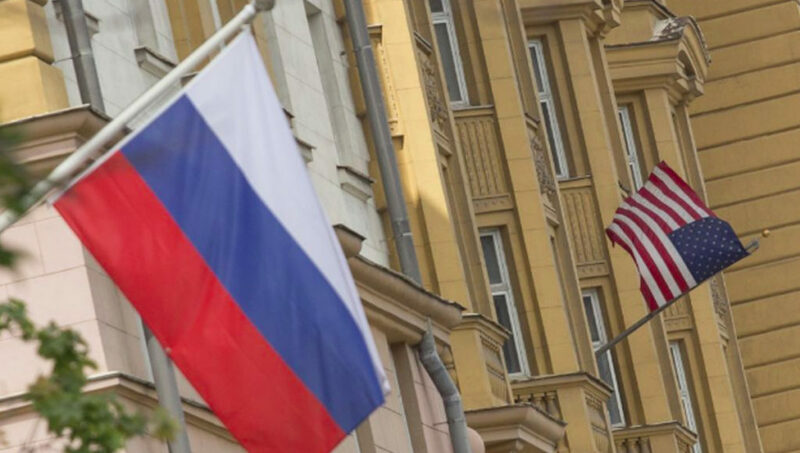 The State Department is now enforcing this measure against Russia, and it’s such an obvious pretext to impose sanctions for simply no reason except to carry out what Dimitri Trianon, who is one of the few kind of moderate analysts of U.S.-Russia relations in Washington at the Carnegie Endowment called ‘hybrid warfare,’ basically economic warfare on Russia. There really is no basis for the State Department to find Russia and the government of Vladimir Putin guilty for the poisoning of former Russian spy Sergei Skripal, given that British police have not drawn any conclusions in the case. The case is unsolved. Theresa May came out, you know, hours after Skripal’s poisoning and said it was highly likely that Russia had done this. And Trump followed that kind of highly likely judgment and expelled over 100 Russian diplomats. But now we’ve seen so much, so many developments that have worked against that really rash conclusion by Theresa May, and we’ve even seen columnists at The Guardian declare that it’s more likely that someone poisoned Sergei Skripal to embarrass Vladimir Putin as Russia was on an international charm offensive. The head of the World Cup, which was the most important PR initiative for the Russian government. And that this was done to actually drop export Russiagate to the UK and drive a wedge between the UK and Russia. That’s what it seems like to me. And these sanctions provide further confirmation, because the State Department is basically saying it knows something that Russia does not. Americans have to consider what it would be like if a more powerful foreign nation had imposed sanctions on the U.S. for a crime that had not been, that had possibly not been committed by the U.S., that forbids United Airlines, Delta Airlines, and American Airlines from flying to that country; forbids imports and exports to and from the U.S. to that more powerful country; and drives the dollar down, and then forces the Fed to let the dollar float, because it doesn’t have the cash reserves to support them; the loss in revenue. That’s what’s happening to Russia right now, and it leaves open the question: What will Russia do to retaliate? Lindsey Graham, who is basically filling John McCain’s role as the most Strangelovian member of the Senate, has said that these sanctions had to be imposed because Russia is interfering in the 2018 elections, and they won’t stop interfering in the 2018 elections. I haven’t seen any evidence of Russian interference in the 2018 elections. Again, it just seems like a pretext to wage hybrid warfare on Russia and ramp up the new Cold War. This is why a lot of us have really been skeptical about the Russiagate narrative, because it really seems like a pretext to drive Russian-U.S. relations down, bring us to the brink of a new conflict, and criminalize diplomacy. Donald Trump has been totally silent about this, for good reason. He just concluded this Helsinki summit with Putin, and these new sanctions have basically sabotaged anything that could have been achieved at the summit. We’ve now learned the summit was about arms control and new ballistic missiles treaties. You know, the horror. So this is a, this is a terrible development for anyone who believes in peace or diplomacy, and it’s based on the shoddiest foundation: That Vladimir Putin personally ordered the poisoning of Sergei Skripal. We can get more into that case and why I think the highly likely conclusion should probably be flipped on its head. AARON MATE: Well, you know, I think the key point with the Skripal case is the one made by Jeremy Corbyn, which is simply that there should be evidence presented. He was pilloried early on by, including by members of his own party, when he stood up in Parliament and said that we should cooperate with Russia and the OPCW and hand over evidence. And he was attacked for that. He’s pretty much the only politician, prominent politician, in the West to make that call, simply that we should be providing evidence before taking all these harsh actions. I want to contrast that to the kind of rhetoric we’re seeing here in the U.S. from the Labor Party’s contemporary in the U.S., which is Democrats. You mentioned Lindsey Graham talking about the need for the sanctions. I want to play a clip of Democratic Congressmember Steve Cohen of Tennessee not talking about the sanctions, but talking recently about what the U.S. response should be to alleged Russian meddling. STEVE COHEN: Or cyber abilities are such that we could have attacked them with a response, a cyber attack that would have crippled Russia. SPEAKER: So you would want, you want massive cyber attacks against the Russian state to cripple their banking industry. STEVE COHEN: To cripple everything. If they all fell underneath the Kremlin and were buried together. It’d be too soon. AARON MATE: That’s Congressmember Steve Cohen, a Democrat of Tennessee, talking about burying Russians underneath the Kremlin. Max, you mentioned there the subject of the Helsinki summit reportedly being about arms control. That’s according to a leaked document that was published by Politico, a document leaked from the Russian side talking about Putin proposing some modest initiatives, such as extending the START treaty, the nuclear START treaty- a proposal, by the way, that Trump rejected when Putin first proposed it upon him taking office. And I’m wondering, as we wrap, just the overall, what are the prospects right now for even taking the minimal steps? Things like extending these important nuclear treaties. What are the prospects for those things happening in a climate like this? MAX BLUMENTHAL: There was an interesting column in The Financial Times yesterday. The columnist columnists named Anderlini, I think. And it was a very anti-Russian columnist, who was basically suggesting that Donald Trump should have taken and could have taken Henry Kissinger’s advice to try to drive a wedge between Russia and China, who are forming this kind of bipolar bloc against American hegemony in the world by cozying up to Moscow. But Anderlini concluded that that’s impossible, impossible because of the Russiagate narrative. So you know, even from this, this American imperialist standpoint, this hegemonic standpoint, it’s impossible for Donald Trump to carry out these kind of diplomatic actions in public. And that’s why Trump and Putin had to meet in secret, which only further kind of consolidated the narrative that there’s something devious going on. Going back to Representative Steve Cohen’s comments. He’s calling for doing what Russia is accused of doing in the Republic of Georgia, in Ukraine, and across Eastern Europe, which is hybrid warfare. And this is the U.S.’s new strategy towards Russia. Hybrid warfare combines traditional military tactics with cyber warfare and economic warfare, as well as kind of online manipulation. And so what Steve Cohen, who isn’t really one of the finest foreign policy minds, is doing is basically echoing the chatter he hears from within the national security state. And we’re seeing one of the most intensive acts of hybrid warfare by the U.S. against Russia today. With new sanctions, we should also consider what Mike Morrell, Michael Morrell the former CIA director, wrote in The Washington Post. He was sort of prescient, or had been warned that these surprise sanctions were coming, and he was arguing in a Washington Post column for sanctions to attack Russia’s middle class. These sanctions are targeted at Russia’s middle class. And the point is actually to attack the civilian population of Russia, to undermine support for Vladimir Putin. And hopefully, in the minds of Morrell and the master meddlers of Washington’s national security state, to sort of gin up a color revolution, which is what they’ve always wanted to do against Putin. It’s why, you know, Putin’s government kicked out the National Endowment for Democracy and other arms of U.S. meddling. And it’s not going to work. It’s actually working against their goals to impose these sanctions. Russia and Putin in particular can portray itself to its own population as, you know, under attack by Russophobic Washington policy at a time when he was facing protests for increasing public payments on pensions, and raising the retirement age. So you know, he was already facing protests, and I think this will actually help Putin shore up domestic support. These people have no idea what they’re doing, and they know nothing except hybrid warfare as a substitute for diplomacy. AARON MATE: Similar strategy to what the Trump administration is currently trying in Iran, reimposing so many harsh sanctions, and what Israel has been trying for so long in Gaza. 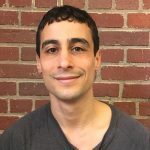 MAX BLUMENTHAL: And actually, Aaron, Michael Morrell had previously argued that the U.S.’s policy in Syria should have been to arm jihadist rebels in order to kill the maximum amount of Iranians and Russians, since they were on the ground in Iran. So we are seeing a clear connection between sanctions on Iran and Russia; just basically an attempt to reimpose unipolar U.S. hegemony. And I think it’s actually going to wind up working against that goal, because these countries, these mid-level powers are going to you consolidate their own alliance against the U.S.
AARON MATE: Well, Max, quickly, in their joint news conference, Vladimir Putin took a jab at Trump for pulling out of the nuclear deal with Iran. He said it was working well, and reiterated that Russia supported the nuclear deal. This week Russia bitterly criticized the U.S. for imposing sanctions on Iran, and said that it would become involved in the EU efforts to save the deal. Do you think Russia can actually do anything meaningful on that front? MAX BLUMENTHAL: Not really. But I do think that, you know, Russia and the EU, and China, China is a much more powerful factor here; can help offset sanctions. China will import as much Iranian oil as it can on very favorable terms. And so, I mean, really, China is the key factor in rejecting the U.S.’s policy. And I think we’re going to see a wholesale rejection by the EU of secondary sanctions. EU companies, particularly in Germany, want to keep business with Iran going. So the U.S., I mean, the Trump administration has set itself on a collision course with not only its allies, but with an increasingly powerful bloc of Russia and China. AARON MATE: Max Blumenthal, journalist, bestselling author, senior editor of The Grayzone Project, thank you.